Not really tutorials, but other stuff electronics stuff I find interesting. On April 26th and 27th, the first year of KiCad KiCon kicks off in the Windy City. Join me and 26 others for talks about the open source electronics CAD tool. The list of speakers is impressive. There are many names which I follow on social media and some I recognize from the KiCad team. For example, Wayne Stambaugh is the KiCad project leader and has one of the keynote talks. You can see the full list of KiCon talks here. And tickets are available here. Here is the description for my KiCon talk. While documentation exists for 1970’s and 1980’s calculators and computers, unfortunately they exist in bitmap formats. As I started converting parts of the Apple IIgs schematic to KiCad, I realized something. There are benefits to “preserving” historical schematics in a living, active, and open format. In this talk, I talk about my experiences in converting scanned PDFs into KiCad, the project behind that motivation, and to encourage help from others to preserve history with KiCad. So what is it? Well, several months ago, I did a couple of Apple IIgs hardware live streams. I have a project in mind for the MEGA-II ASIC. But before I could move forward on the project, I wanted a modern version of the IIgs schematic. While schematics for classic 8 (and 16-bit) computers are readily available, they are usually only in PDF format. Studying the design is like reading a book. While I am glad the PDFs are available, I would like to be able to do actions like a search. In my talk, I’ll explain why we should be converting these classic schematics into an open format. 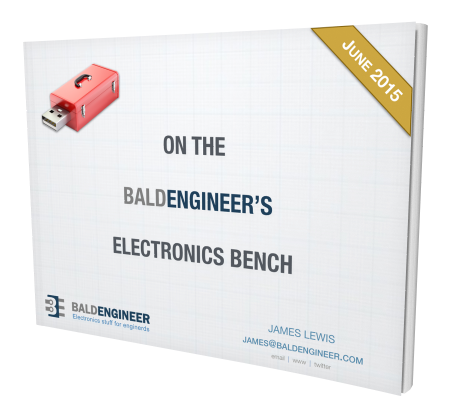 Along the way, I’ll take the audience through my journey of using KiCad for this project. In the end, I’ll be asking for help to convert other classic computer schematics. Where is KiCad KiCon 2019? The location for the conference is mHUB in Chicago, IL. If you’re able to attend in person, I look forward to meeting you. If you’re not able to travel, I fully expect either a live stream or recorded versions of the talks to be available. Do you happen to be around Nuremberg this week? If so, check out the Power Electronics Show, PCIM 2016. I’ll be floating around the show all week. Most of my time I’ll be at KEMET’s booth in building 7. The booth number is 7-302. Just ask for James. You can ask me about capacitors, electronics stuff, or just come to see that I really am bald! 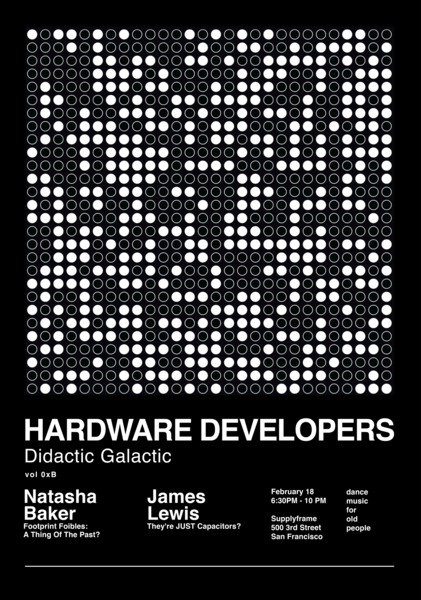 Super excited that I’ll be speaking at this month’s Hardware Developers Didactic Galactic (HDDG) #11. The meetup is on Thursday, February 18, 2016. It should come as no surprise that I’ll be talking about capacitors–something I have a bit of experience on. Also presenting will be SnapEDA CEO’s Natasha Baker. I’ve written about SnapEDA in the past post, How to find Parts for your Electronics. One reason to come is just to see what the Hackaday / Supplyframe office looks like!